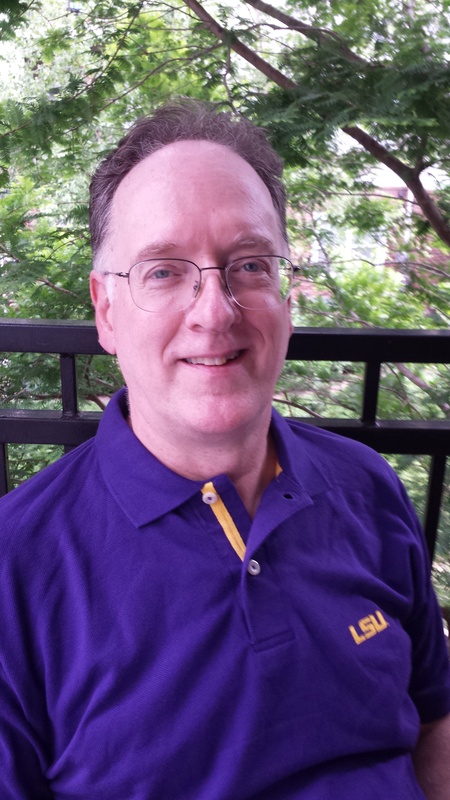 I am the Director of Student Media at the Manship School of Mass Communication at Louisiana State University. To contact me by email, write me at stephenbuttry (at) gmail (dot) com. Before coming to LSU, I was Digital Transformation Editor for Digital First Media, which I joined in 2011, when it was the Journal Register Co. In 2010-11, I was director of community engagement for TBD.com, a local news site covering the Washington Metro Area. From 2008 to 2010, I was at Gazette Communications in Cedar Rapids, Iowa, where I was editor of The Gazette and GazetteOnline and C3 Innovation Coach. I was named Editor of the Year in 2010 by Editor & Publisher. I have spent more than 40 years in the news business, starting as a carrier for the Columbus Citizen-Journal (may it rest in peace) in Ohio in the 1960s when I was in junior high. I started writing professionally for the Evening Sentinel (also deceased) in Shenandoah, Iowa, in August 1971, when I was getting ready to start my senior year of high school. I’ve worked as a reporter, editor and writing coach for the Des Moines Register, Kansas City Star and Times, Minot Daily News and Omaha World-Herald. From 2005 to 2008, I worked for the American Press Institute, teaching and researching innovation and training journalists and media executives around the world. Much of my work focused on the Newspaper Next innovation project. I started training journalists in the 1990s and have trained at newsrooms, conferences and seminars around the world. LSU is my first-time teaching position. I’ve been an adjunct faculty member at Georgetown and American universities and the University of Iowa, Central College and Kirkwood Community College. I have pursued my journalism career in 44 states and nine Canadian provinces as well as Ireland, Venezuela, Mexico, Germany, Japan, Saudi Arabia, Ecuador, Siberia, France and Italy. This is my primary blog. I also blog about baseball on Hated Yankees and I blog about travel with my wife, Mimi, at 2 Roads Diverged. I blog about my cancer treatment on CaringBridge. You can read and watch more in separate pages about my journalism career, my journalism training career, my journalism teaching career, disclosures about me, videos of me and my consulting and training services or in my Google profile, Timetoast timeline of my career, Pinterest pinboard about my career or my curriculum vita. just read your article “complte community connection” in Iowa Newspaper Foundation’s “evolution” publication. congrats on your creative thinking! maybe we can connect one of these days on my way through cedar rapids. I’m a big Brady fan. I will be watching your innovative work in DC. Thanks, Ellen! If I say I’m a big fan myself, that either states the obvious or looks like I’m sucking up to the boss. But I am a big fan. Delighted with the new gig. I landed on your blog via a Facebook post from Jason Crane, another TCU alum, and was very impressed by your comments about Tweeting the Austin tragedy. Would you mind emailing me so I’ll have that in my address book? I have a few questions I’d love to visit with you about as well. Congratulations on the E & P award! DC Doesn’t know what it’s getting! I have been working with mobile media as it relates to direct marketing, and would be happy to discuss ways to apply this to news dissemination. Congratulations on hiring the GREAT Dan Victor! Of course we might be slightly prejudiced because he’s our grandson, but his progress in computerized journalism has given us good reason to be proud. on May 11, 2010 at 5:52 am | Reply Mobiljournalistik.dk» Blogarkiv » Har nyhedsmedierne en mobile-first strategi? We spoke months ago for a piece I was writing about Leonard Downie’s research report on funding journalism for the Cronkite Journal. The magazine has finally been published online and in print. You can find the story at http://cronkite.asu.edu/assets/pdf/journal10-11.pdf. Thank you again so much for taking the time to do the interview. You certainly know your stuff and it was a pleasure speaking with you. Yes, Merle, I did hear about Lyle’s new gig. I certainly wish him and Iowa Watch and the Gazette well. on August 26, 2012 at 4:26 pm | Reply Breaking News: Follow it on Twitter | Hey DMH! on August 6, 2013 at 12:48 pm | Reply Teresa Schmedding » What are you reading to stay up on journalism/digital trends? A smart, informative blog. Thank you. I will continue to read with great interest.